LAS VEGAS -- Interop -- Cisco is hooking up with partner companies to promote OpFlex, a new southbound protocol between network controllers and devices such as routers and hypervisors. OpFlexis designed to help carriers and enterprises build virtual networks that incorporate multiple vendors' technology. But OpFlex also has the potential to help Cisco Systems Inc. (Nasdaq: CSCO) fend off competition from white box vendors. Cisco has submitted OpFlex as a proposed standard to the Internet Engineering Task Force (IETF) , and published it as an open API. Controllers supporting the OpFlex API communicate with an open source software agent running on a switch. "Anyone can come, anyone can consume this API," Mike Cohen, Cisco director of product management, told Light Reading. OpFlex is intended to promote Cisco's vision of "declarative control" of the network, where the policy manager dictates the network end state, and intelligent devices on the network execute that policy. Declarative control is the alternative to "imperative control," as found in OpenFlow software-defined networks, where the centralized controller has all the intelligence and network devices are dumb. Cisco believes declarative control is superior to imperative control, which has a single point of failure in the centralized controller. Also, on imperative networks, upgrading device capabilities breaks compatibility with other devices on the network, which is not a problem on a declarative network, Cohen said. And imperative networks require cooperation between the people in application support and network support to make network changes. What Cohen didn't say is that the strict OpenFlow model threatens Cisco in that it enables the potential use of so-called "white box" switches, rather than the expensive, specialized hardware that is Cisco's bread and butter. So the more Cisco can do to promote declarative networks, the better off Cisco will likely be. Not surprisingly, missing from the list of partners were some big switch and virtualized network vendors that, well, aren't Cisco, such as Juniper Networks Inc. (NYSE: JNPR), HP Inc. (NYSE: HPQ), Huawei Technologies Co. Ltd. , and VMware Inc. (NYSE: VMW). Cohen said Cisco is working with its partners initially, and hopes to broaden support to other companies later. Of course, Cisco's competitors don't have significant incentive to support OpFlex early on, and without their support the standard looks unlikely to move beyond Cisco's sphere of influence, significant though that may be. Cisco is working with OpenDaylight, which is developing an open source SDN controller, to create an open source ACI-compatible policy model and OpFlex reference architecture. Cisco, IBM Corp. (NYSE: IBM), Midokura , and Plexxi will contribute to the project. Cisco says it plans to support OpFlex on a range of products including Nexus, ASR, and ASA, and Sourcefire hardware and software. Want to learn more about SDN and the transport network? 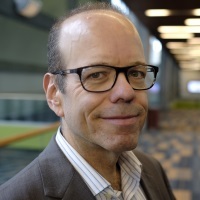 Check out the agenda for Light Reading's Big Telecom Event (BTE), which will take place on June 17 and 18 at the Sheraton Chicago Hotel and Towers. The event combines the educational power of interactive conference sessions devised and hosted by Heavy Reading's experienced industry analysts with multi-vendor interoperability and proof-of-concept networking and application showcases. 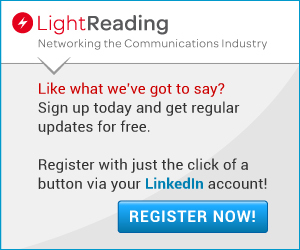 For more on the event, the topics, and the stellar service provider speaker lineup, see Telecommunication Luminaries to Discuss the Hottest Industry Trends at Light Reading's Big Telecom Event in June.